Bravo Restoration & Construction is a full service property restoration and general contractor serving Sonoma County, Marin County, and Napa County. We are locally owned and operated and are dedicated to providing fair and honest service while meeting or exceeding your expectations for quality construction work. We have the experience and training necessary to handle any issue that can arise during a restoration project to ensure you only get the best. 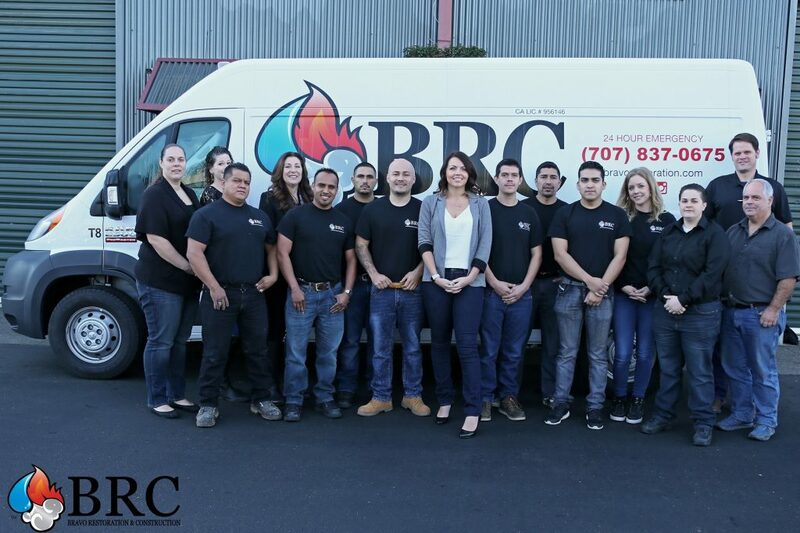 We are a Woman-owned, licensed general contractor by the CSLB, an IICRC Certified Firm, and hold the prestigious Certified Microbial Remediation Supervisor (AMRS) certificate through ACAC. Many of our competitors have a “one size fits all” response to emergency jobs. At Bravo Restoration & Construction, we have found through experience this can be an ineffective and even dangerous way to restore damaged property. Don’t settle for anything less than a full service restoration company with the training and equipment to do your job right. Our competitors send cheap labor into our local area and try to work in our Northern California communities. It’s an area they are unfamiliar with and is too large for them to manage. If you hire one of these large corporations, you really don’t know what kind of skill and reliability you are getting. We personally manage each job and hire local workers who share our same dedication to service and excellence that we built this company on. We maintain a team of dedicated professionals who approach each unique job with individualized protocols to give you 100% safety and reliance in our work. We take great care of our Northern California neighbors when disaster strikes. Even after regular business hours, you can get help by calling our emergency hotline — someone is always available to take your call. We live and work here locally, so we’re near our Northern California neighbors, ready to help when disaster strikes. Contact us or feel free to give us a call at (707) 837-0675. We’re here to help!